"I was there, when the Pilot landed. It was the summer of 1996, and the US Robotics Pilot 5000 had just arrived in the bootLab (‘boot Magazine' was the then-newly-launched precursor to Maximum PC). With unprecedented ferocity, we editors were fighting gladiator style for dibs on reviewing this tiny bit of pocket-sized plastic with its dingy monochrome screen. Not even the latest uber-PC or 3D graphics card generated such editorial lust." Although it feels like ancient history now, it was only a few years ago that neither the iPhone, nor Android, existed and the smartphone wars were fought between the likes of Palm, Microsoft, and RIM. It's amazing how fast things change. This article, written by Chris Dunphy - a fellow I had a good natured rivalry with back in 2001 - covers the inception of Palm, the effective dissolution of Palm (some might say multiple times), and everything in between. It's an excellent read and gives some insight into what Palm did, and didn't do, right. Palms were awesome. Still loved my Treo 600. Pity they just couldn't bring it forward to the modern Internet age. I think WebOS is the first good product Palm has had. I only had one Palm OS device, a Treo 700. Even though that was much later than the earlier Palm Pilots it was terrible. It would just freeze all the time when switching networks/towers or something and I'd have to wait for it to respond in the middle of text entry or anything else. The interface was annoying and inefficient and the screen resolution was very low. I'm glad we moved away from those at work. I think WebOS is great but it's pretty late to the game and needs a lot of developer support. It will be interesting to see how HP does with the TouchPad, Veer, and Pre 3. I wish them well as I think these devices are worthy competitors in the current smartphone market and seem to have a great operating system behind them. When the Palm came out I was disappointed at how crippled and restrictive it was. I bought an HP OmniGo 120. It was awesome! It was more flexible and more upgradable. It came with more and better software too. People said you didn't need those extra features. They said the same thing about Windows Mobile which had many of the features that I enjoy with Android now and iOS still doesn't have. I think iOS is the Palm OS of today. As Apple continues to try to catch up to Android by adding things Android had first like Copy & Paste, Multitasking, and Folders it will become more and more clear that iOS and its Wii rip-off do-nothing-but-launch-apps interface will die the death palm did going from what everyone thought was the best to being something nobody would consider buying. It may take a few years but the way Apple is going people will start getting sick of the inherent limitations and restrictions in iOS. As more and more Android devices come out that keep getting better and better it's going to be harder for Apple to convince anyone that they really want a small screen, less features, and less choices. As Apple continues to try to catch up to Android by adding things Android had first like Copy & Paste, Multitasking, and Folders it will become more and more clear that iOS and its Wii rip-off do-nothing-but-launch-apps interface will die the death palm did going from what everyone thought was the best to being something nobody would consider buying. It may take a few years but the way Apple is going people will start getting sick of the inherent limitations and restrictions in iOS. 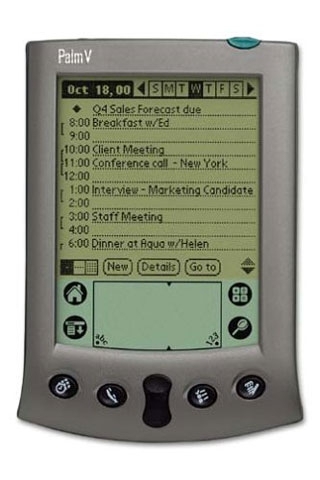 I remember vividly how Palm buried their heads in the sand when the Pocket PC wave hit - they wasted an awful lot of time and energy loudly proclaiming against all evidence that all anybody needed or wanted was effectively an electronic Filofax. Apple is the master of absolute best quality and customer service. EVERY year they top the lists. For computers, MP3 players, and now phones. They also use the best components available - not always the buzzword processor or GPU, but in test after test it has been shown that for a given class of laptop, the best performer is Windows running on a Mac. Personally I love running Win7 on my Macbook Pro Core i7 ... it blows away my i7 Alienware on general stuff (the more powerful GPU gives the Alienware the gaming edge). As for the Android thing ... I love Android and would be loathe to give up my phone (had original Droid, now Droid Pro). But remember - Apple has one phone with (for last 2.5 months) 2 carriers. Yet what is the #1 selling phone? Yep, iPhone. In fact, one phone on one carrier was doing battle with multiple carriers, literally dozens of phones across pretty much every other MFG except Apple/RIM/Nokia ... and maintaining solid performance. I also think that Apple's arrogance and recent tendency to be evil is starting to bite them. They have pulled crap with their monolithic approach (ebooks as an example) that are inexcusable. Unless they change course they will slowly fade into the background again. Actually, not exactly right. Apple is the master of absolute best quality and customer service. EVERY year they top the lists. For computers, MP3 players, and now phones. Agreed. If you look at what I said though, it was referring to features. Apple is the master of giving the user a feature that works great for 80% of people, and infuriates the other 20% who want it to work in a different way. Ditto for their overall feature lists; they're very methodical and restrained when adding new features that other companies add without hesitation (look how long it took to get an SD card slot on MacBooks). Interesting read. I think the author, being a former Palm executive doesn't realize it, but he really misses one of the biggest reasons for Palm's fall. Like so many other corporations these day, it seems every decision made was to meet this quarter's expectations. It seems every key decision was reactionary to the market, and no one ever took the long view. Obviously, some of the original founders realized this when they started Handspring, but Handspring never could change the core issue of an old inflexible OS that COULD not evolve into a competitive modern OS. All they could do was try to put some lipstick on the pig. I think there are parallels between what we saw happen with Palm and Windows Mobile. Both companies were guilty of ignoring the future and clinging to short term profits, allowing their competitors to completely overwhelm them, despite huge initial market advantages. I really don't see this happening to Apple in the near future, they are much more committed to their IOS platform than Microsoft was ever committed to Windows Mobile. They understand how to deliver what a large percent of consumers want and they aren't afraid to move forward and break compatibility with the past when necessary to advance their platforms, something Microsoft has always been shy to do. I know WP7 does it, but everyone has too admit, it's late to the game. Don't forget that despite Android's huge market share, it's still Apple that is making the most profit by far from their mobile OS and related ecosystems. They have every reason to continue to evolve and protect that profit...again something Microsoft never could say about Windows Mobile.